I've never actually sampled a fruitcake. I assume it tastes pretty terribly given its bad rap. 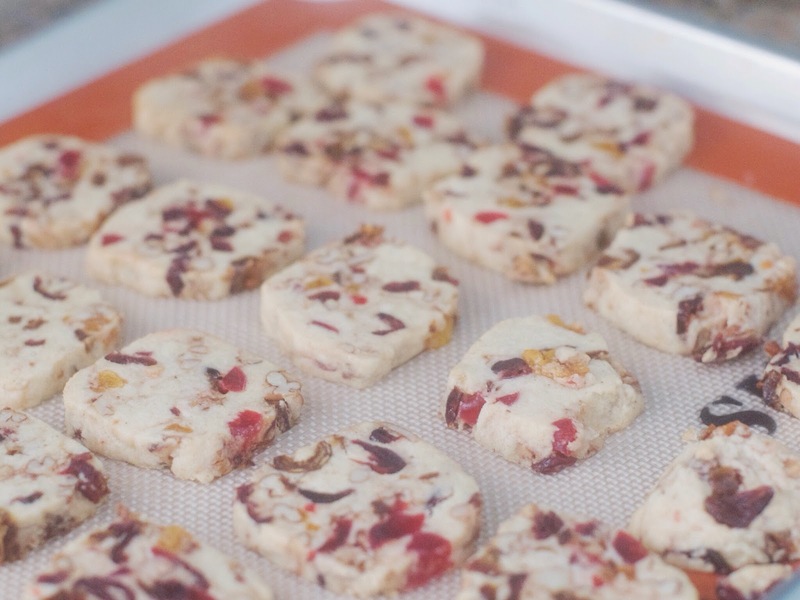 The Christmas Fruitcake: the Christmas gift no one wants to receive but then makes the perfect regifted gift. I always imagined them to be dense, dry and incredibly unappetizing. 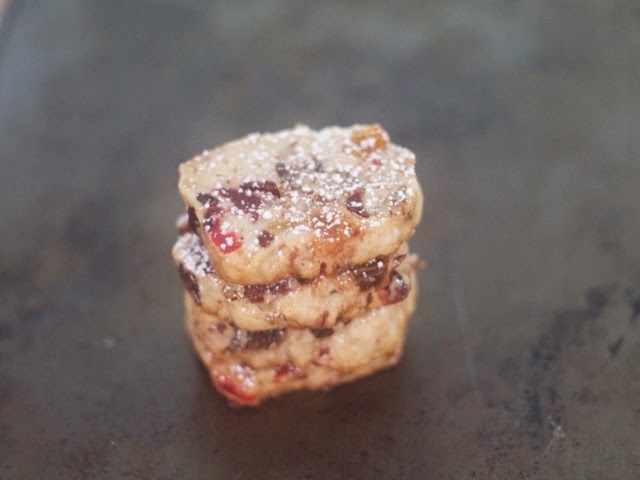 But then Big Sista piqued my curiosity with this recipe for Fruitcake Cookies from Ina Garten. A five-star rated recipe with over 120 reviews, almost too good to be true. For years I shelved away the recipe, but this year, I finally decided this recipe would be my first Christmas cookie of the season. Following the advice of the reviewers, I tweaked the recipe a bit and the end result was a delicious, soft, fruit-filled sugar-like cookie. No hate from me for this version of the fruitcake. It was a perfect way to start the Holiday Baking Season. 1. 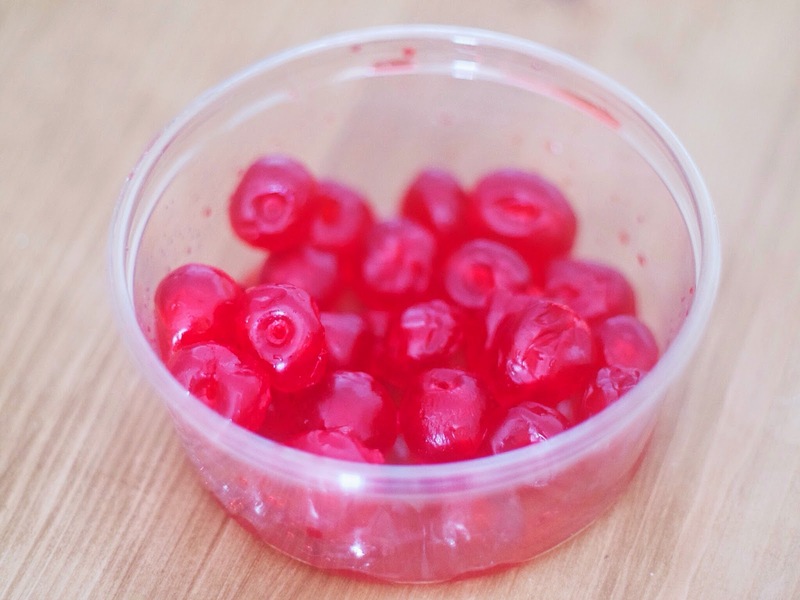 Toss dates, cranberries, cherries, apricots, pecans together with honey, lemon juice, bourbon, vanilla extract and salt in a bowl. Cover bowl and let sit at room temperature overnight. 2. Cream butter, cloves, cinnamon, sugar and brown sugar together in stand mixer for 3 minutes or until smooth. Add and beat in egg. Then slowly add flour and salt, being careful not to over mix. Then fold nut and fruit mixture into dough. 3. Divide the dough in half and place 1/2 the dough onto a long sheet of parchment paper. Roll dough into a log, about 1 1/2 inches thick. Repeat for other half of dough onto a separate sheet of parchment paper. Refrigerate dough for a few hours, until hardened. Or freeze dough. 4. Preheat oven to 350 degrees. Cut hardened dough into 1/2 inch thick slices. Bake on ungreased baking sheets for 15-20 minutes, or until golden. 5. Remove cookies from pan and cool on drying racks for 10 minutes. 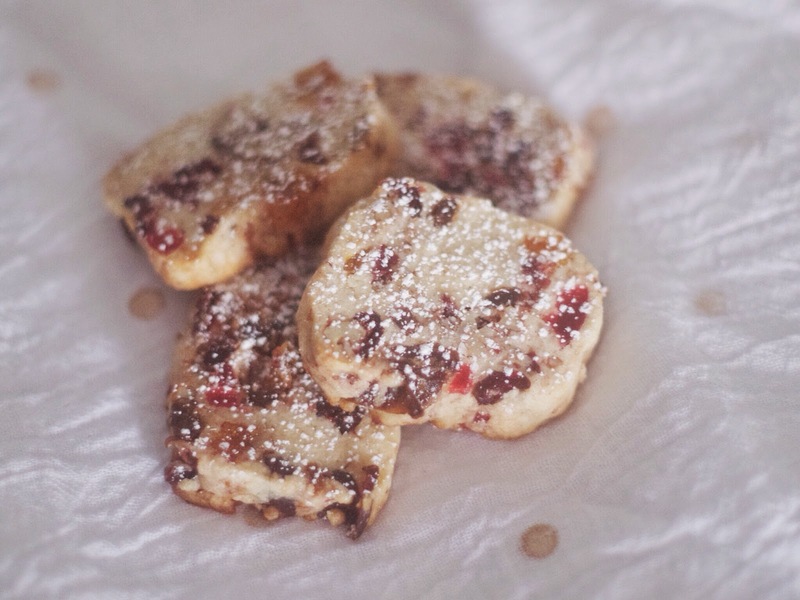 Sprinkle with a dusting of powdered sugar and enjoy!